May 25th is an important day for the Argentine people. It’s the date in 1810 when a junta took over from the Spanish Viceroyalty and the country declared independence from Spain. 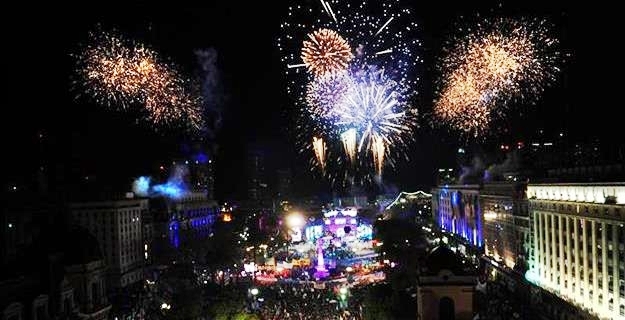 I knew Buenos Aires would celebrate their independence day in a big way but didn’t know exactly what to expect. Monday morning I went into the city center to find a local artist – Bastién – and maybe buy a painting. It was quiet in Recoleta and I took the subway which was surprisingly empty. I figured people were hanging out at home taking it easy on the national holiday. Imagine my surprise stepping out of the Cathedral subway station and being engulfed by a boisterous crowd of thousands in the streets – yikes! 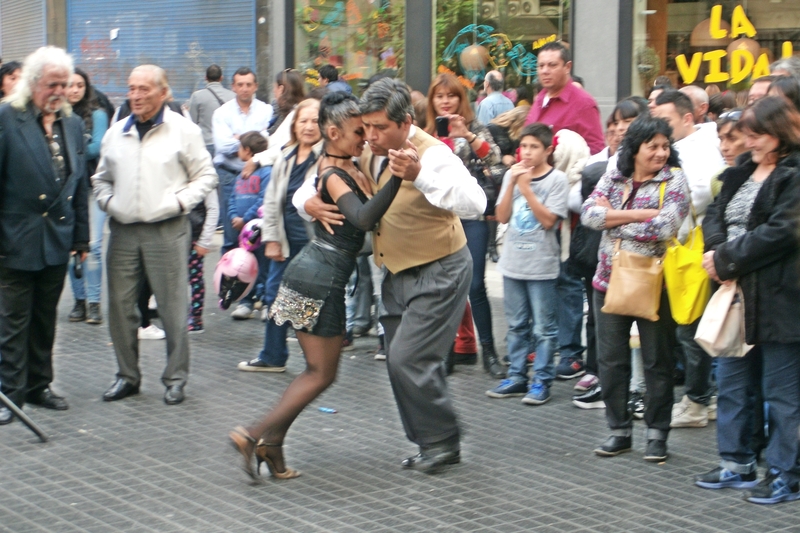 It wasn’t clear if people were getting an early start celebrating Argentina’s independence from Spain or reacting to current political events in Buenos Aires. 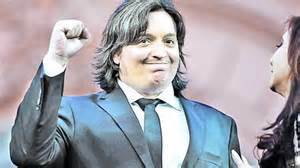 This is an election year and there’s speculation about who will succeed President Cristina Fernandez de Kirchner. She has served the maximum two consecutive terms allowed by Argentina’s constitution. 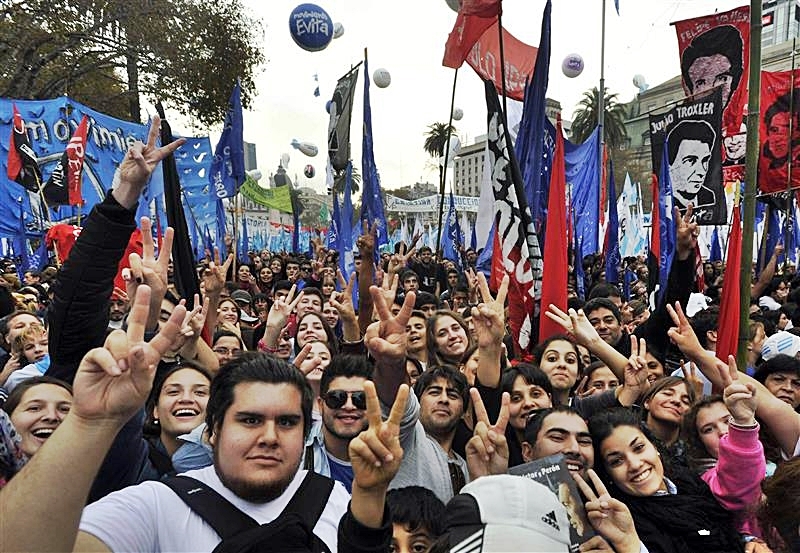 Politicians from the Front for Victory proposed an amendment to Argentina’s constitution to allow unlimited re-elections. Opposition resisted the proposal and it did not pass in Congress. 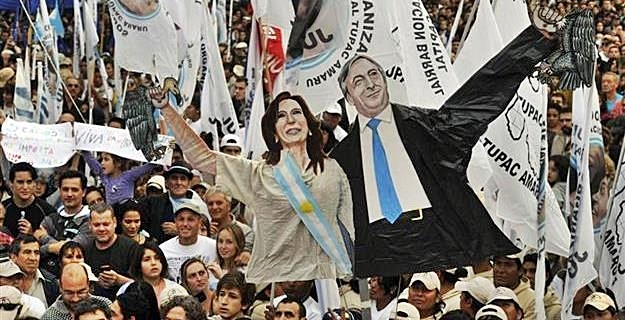 As mentioned in an earlier post, an appellate court recently dismissed a criminal case against Kirchner and her supporters accusing them of “conspiring to hide Iranian officials’ involvement in a bombing in Buenos Aires in 1994”. The New York Times published an article about the controversy. It’s a sore subject in Buenos Aires. 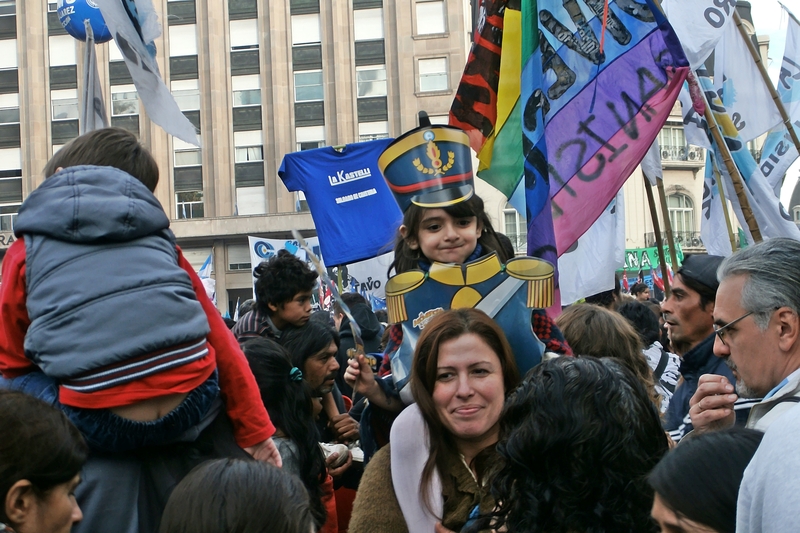 From observation, people in Buenos Aires either support Kirchner or vehemently oppose her. There doesn’t seem to be a middle ground. I don’t know which side has more power and advocates – those for or against her? I’m not familiar with viable opposition candidates for the presidency – if there are any – but intend to research it. 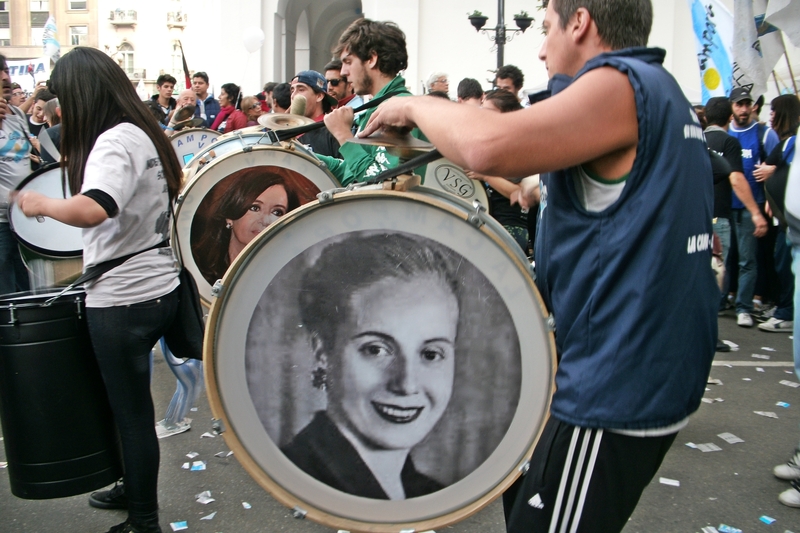 A large number of President Kirchner’s staunchest supporters are part of a “super-charged youth movement” composed of young, outspoken students who are advocates of Peronism. I’ve seen them passing out pamphlets on street corners and even chatted briefly with one student who spoke English. 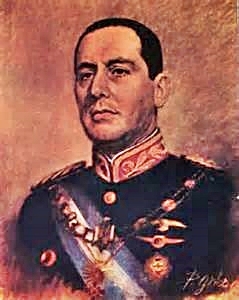 Maximo Kirchner, son of Néstor and Cristina, created the political youth organization La Cámpora. The group is sometimes called “Cristina’s soldiers”. 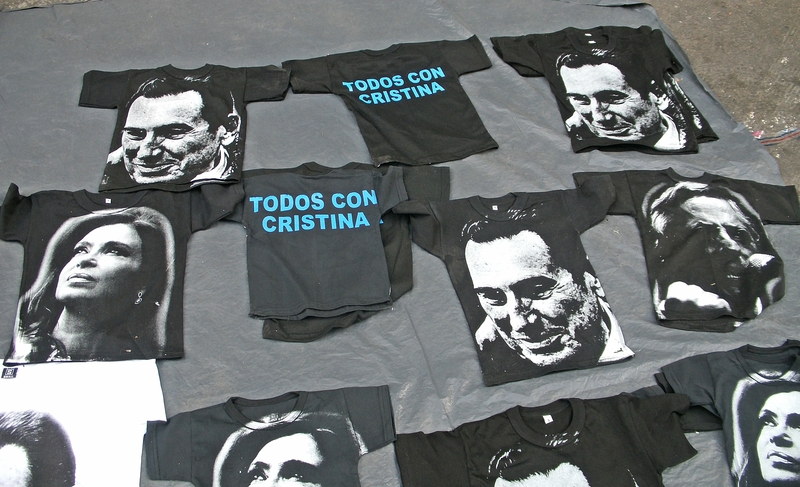 La Cámpora supports the governments of Néstor Kirchner and Cristina Fernández de Kirchner. The group formed in 2003 and was named after former Peronist President Héctor José Cámpora. 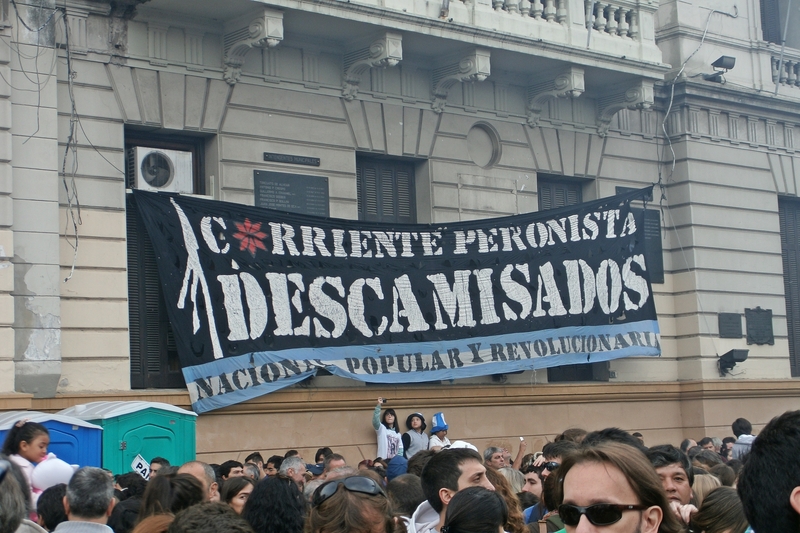 La Cámpora became politically influential in 2010, after President Néstor Kirchner died of a heart attack. There are interesting articles about La Cámpora including one from the Southern Pacific Review based in Santiago, Chile and another from The Bubble, a local Buenos Aires news organization. Didn’t plan on getting caught up in a demonstration. In all my travels I’ve tried to avoid them. One close call was while visiting Athens in May 2013. My hotel was near Syntagma Square, the front line of Greek European Union austerity protests. The sight of police in full riot gear and the sound of thousands of demonstrators is unforgettable. Getting unexpectedly caught up in a large group of excited people happens quickly. I’ve never experienced anything like it. Once I got swallowed up there was no way out. If you exited the Cathedral subway station at the wrong time, like I did, you were swept up in the crowd whether you wanted to be or not. 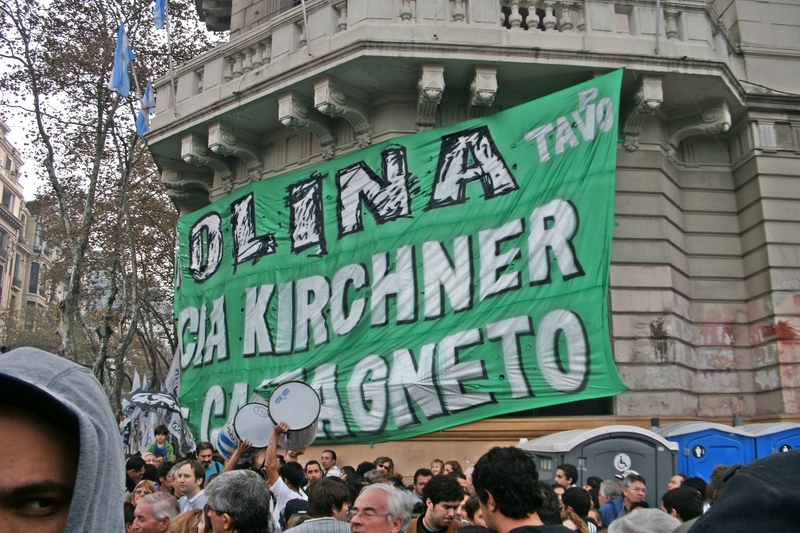 Kirchner’s supporters were raucous. They belted out chants while being egged on by their leaders. There wasn’t any violence, at least I didn’t see any. It was the sheer number of people and their intense passion that was slightly scary. I kept hoping things would calm down, but they got louder and louder. The number of people in the group was increasing. They just kept coming. Families were comforting young children who were crying and terrified of the growing crowd. 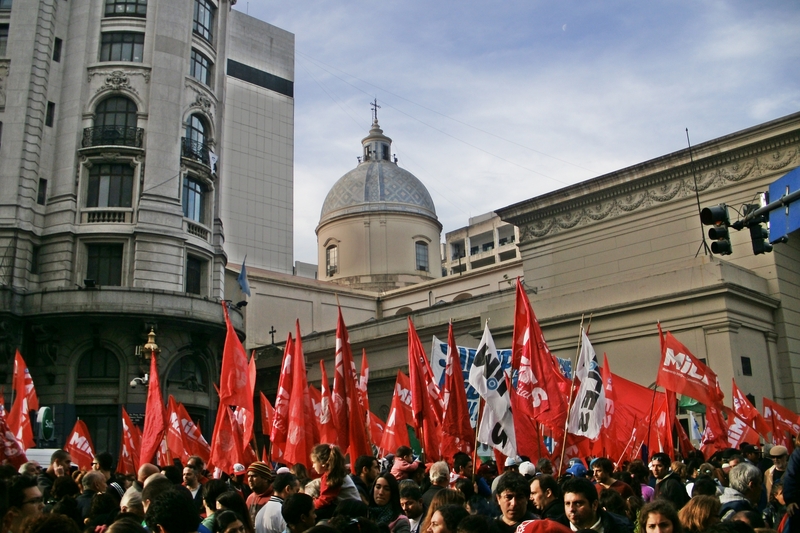 The largest gathering was near the main square and government buildings between Avenidas De Mayo and Rivadavia. These major avenues intersect near the Casa Rosada (Presidential Palace), the State Intelligence Bureau, City Hall, and Plaza de Mayo. 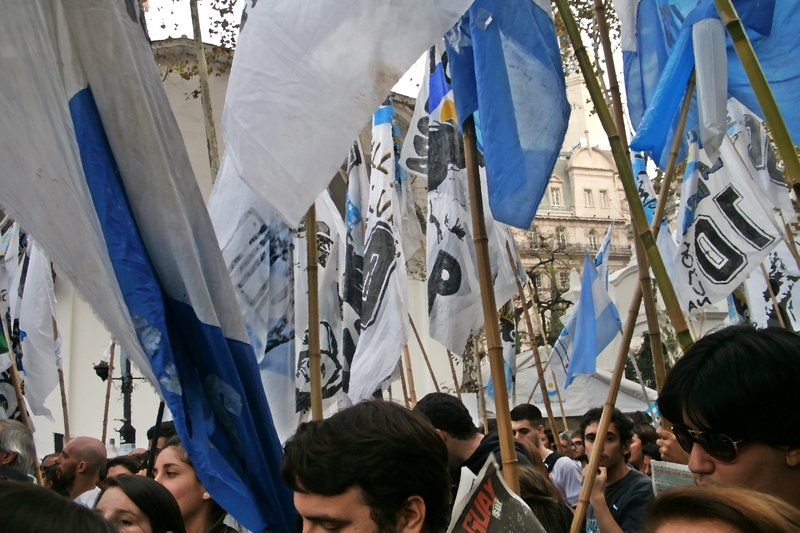 La Cámpora formed a human wall around their demonstrators who were carrying banners mounted on bamboo poles. After an hour, I spotted a tiny escape route and sneaked away. Around 7:00 p.m. President Kirchner addressed the Argentine Nation from Plaza de Mayo. After her speech, the “Party of the People’s Nation” continued until midnight with music, fireworks, and other festive activities. Over one million people attended. Will think twice before exiting another subway ;o) but what an interesting day! 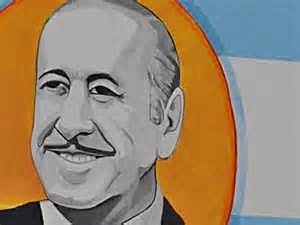 This entry was posted in Argentina, South America and tagged Buenos Aires, Cristina Fernandez de Kirchner, Dia de la Revolucion de Mayo, Eva Peron, Evita, Frente Para La Victoria, Hector Jose Campora, Juan Peron, La Campora, Maximo Kirchner, Nestor Kirchner, Peronism, Southern Pacific Review, The Bubble by suemtravels. Bookmark the permalink. That’s clearly the case – there have been two in the month or so I’ve spent here!